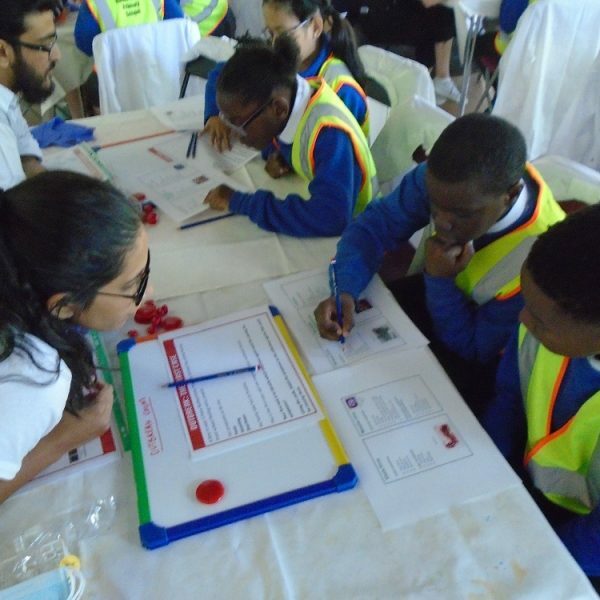 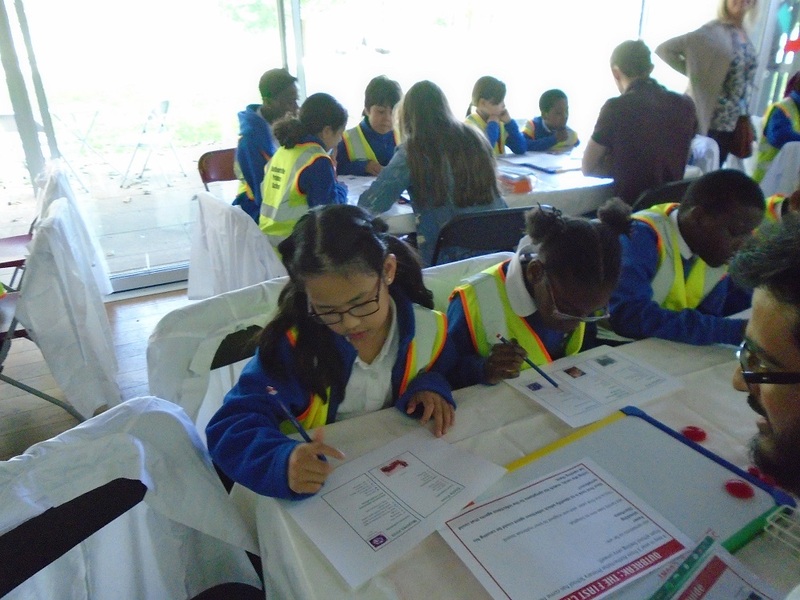 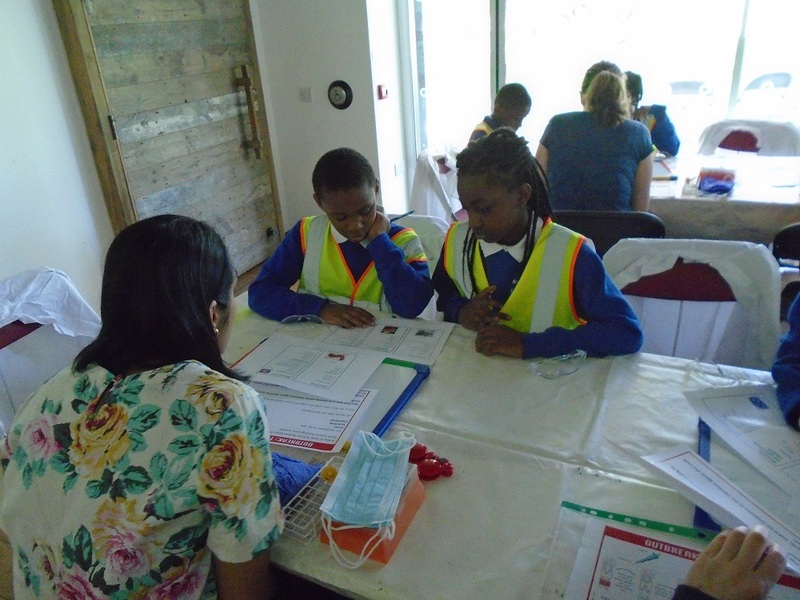 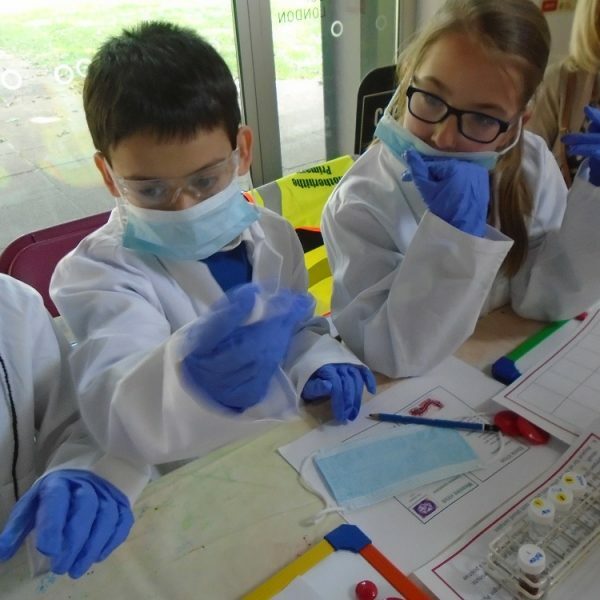 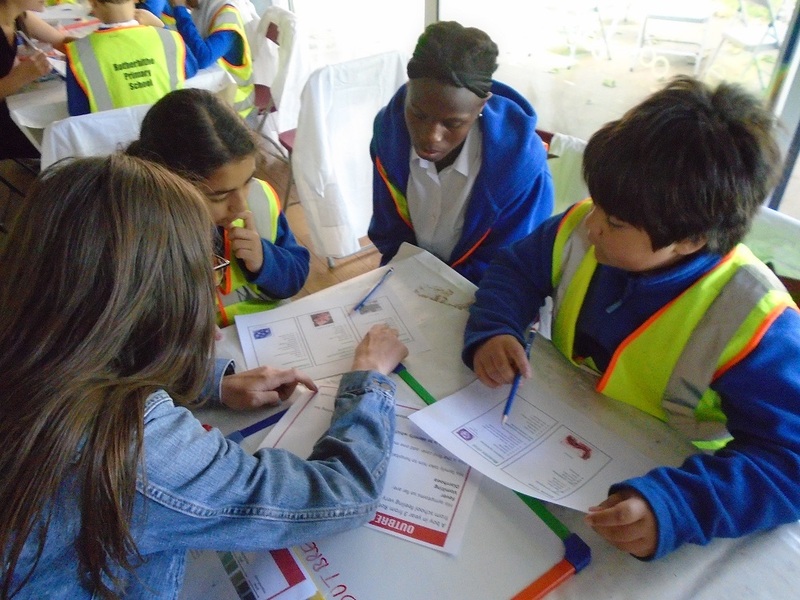 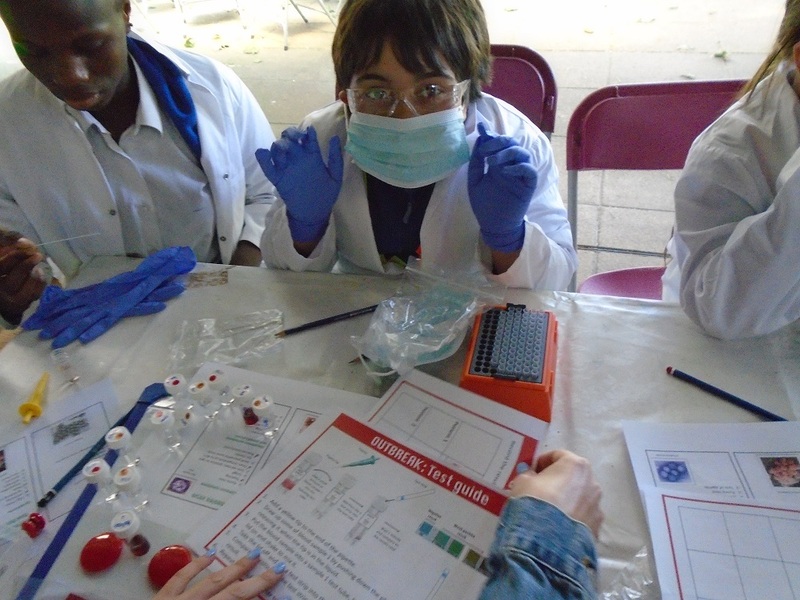 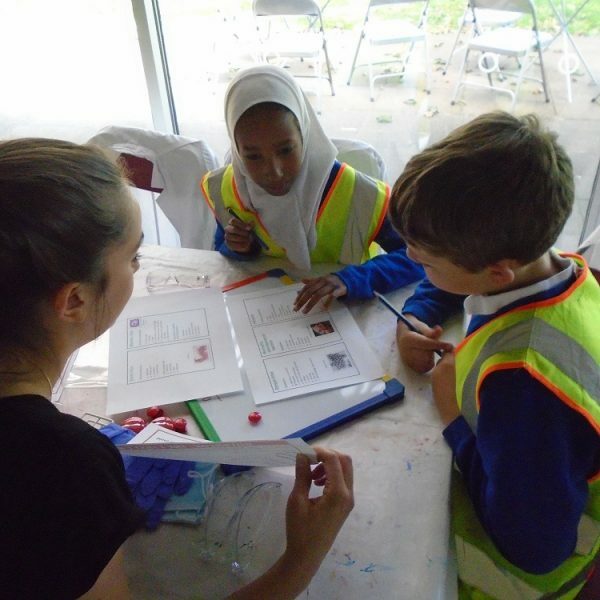 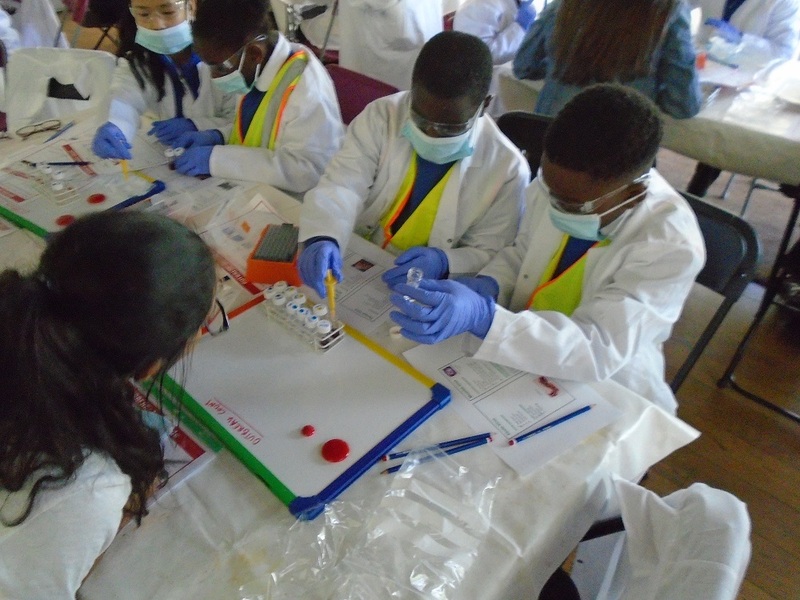 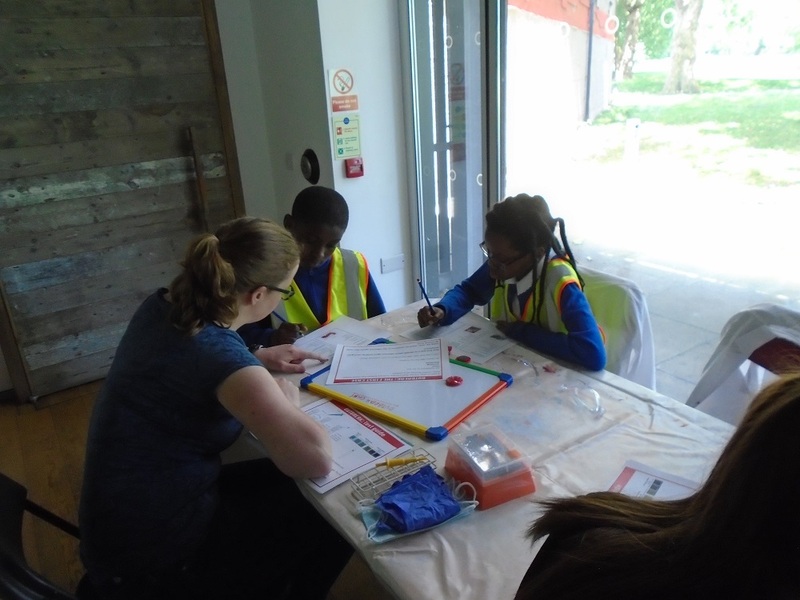 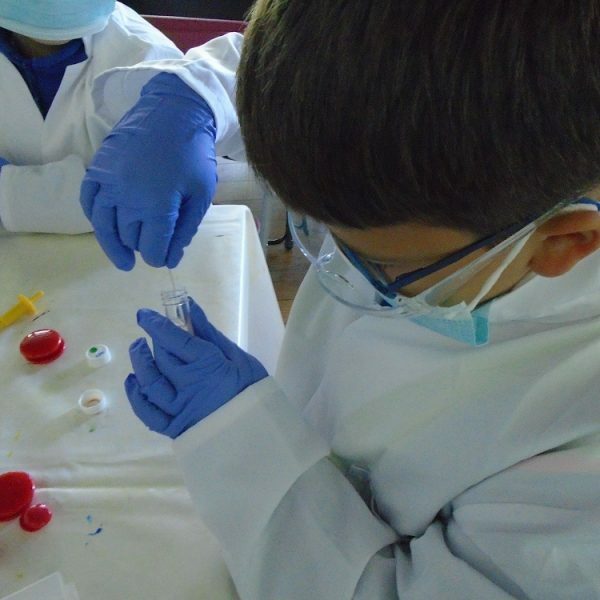 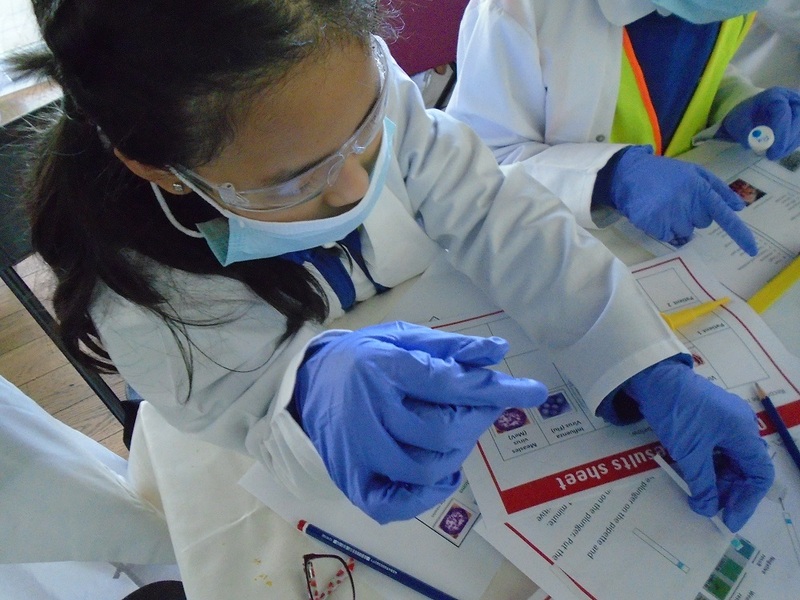 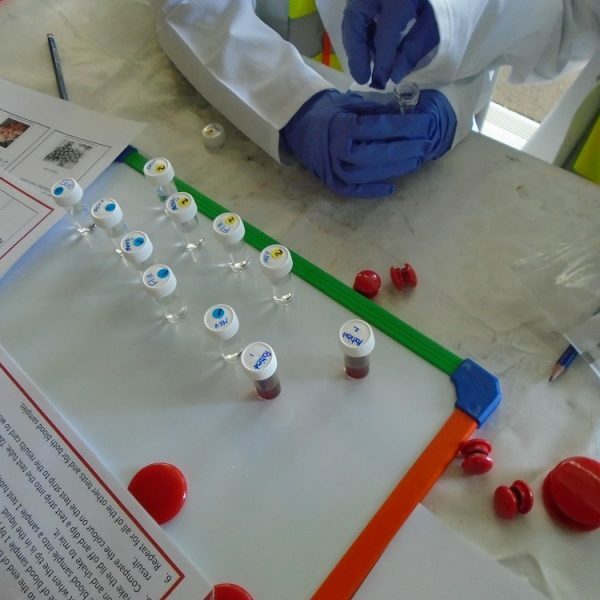 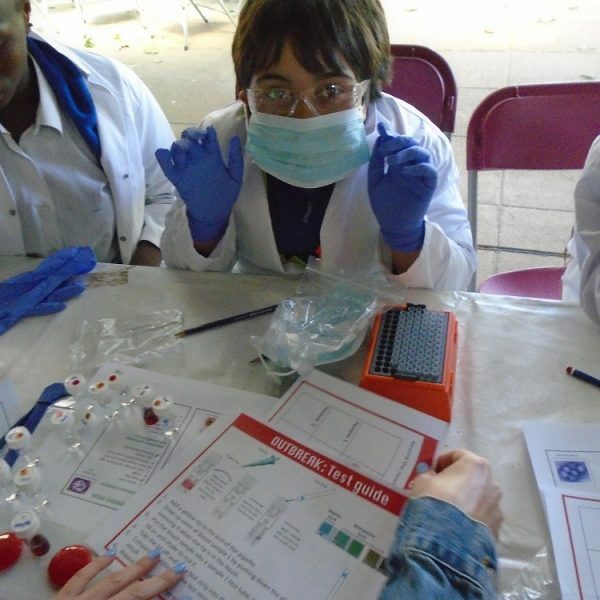 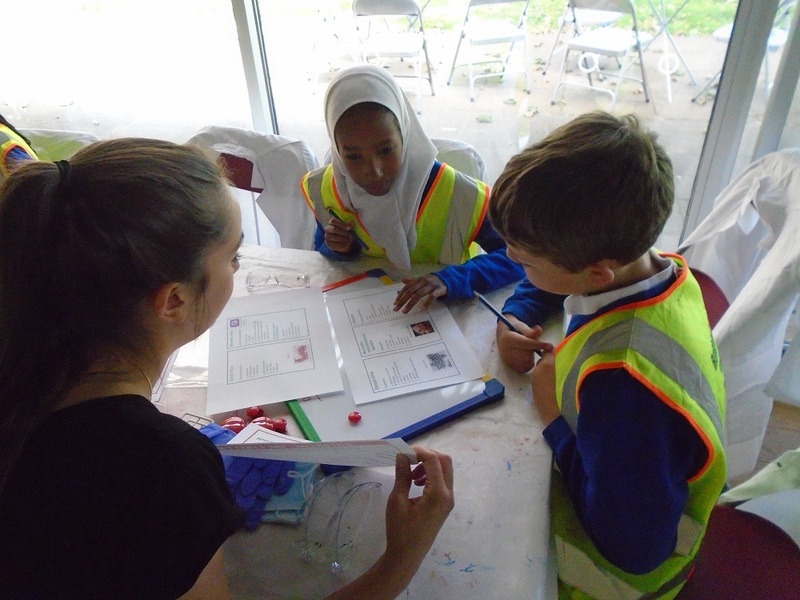 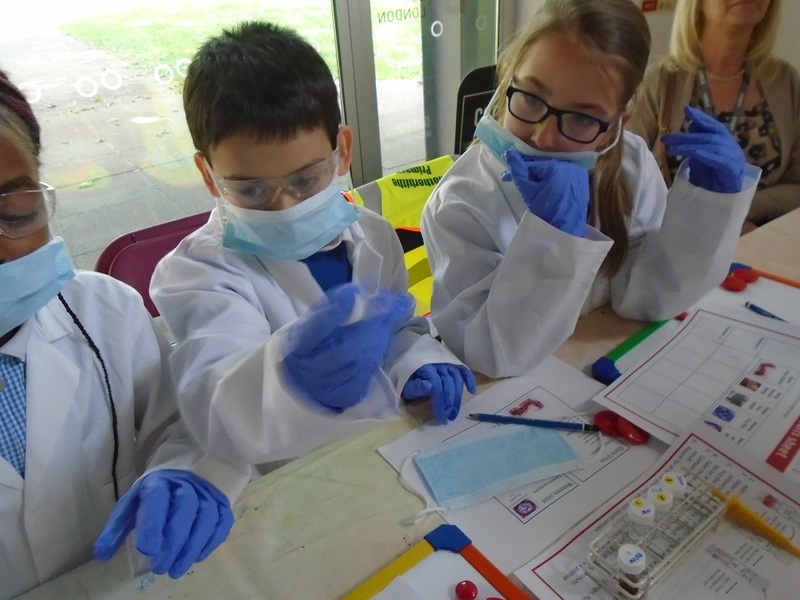 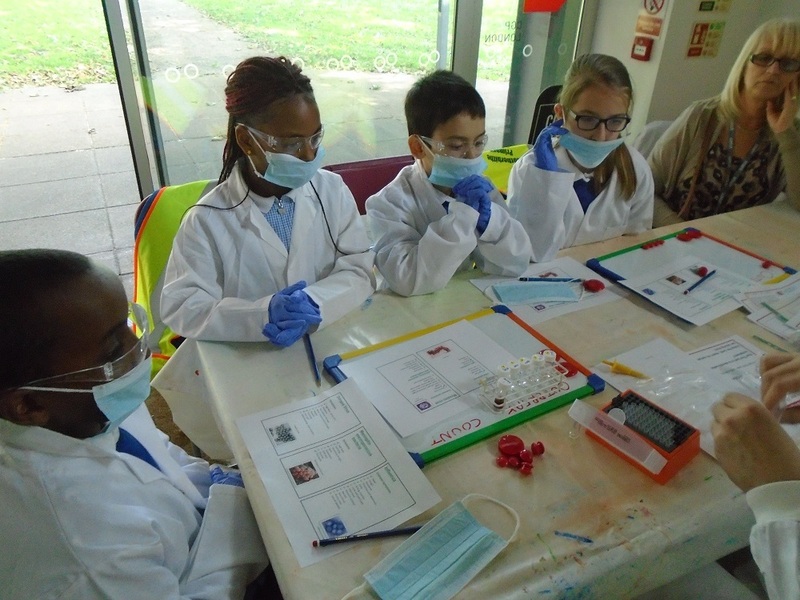 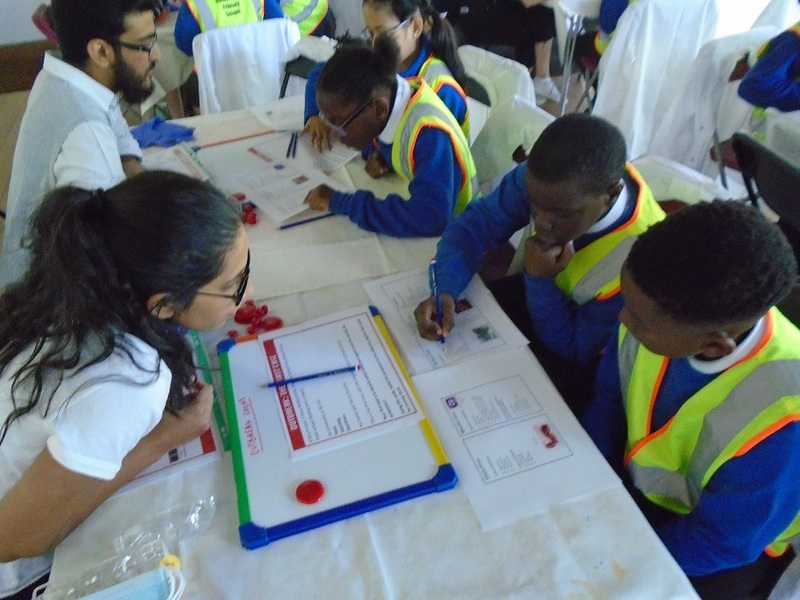 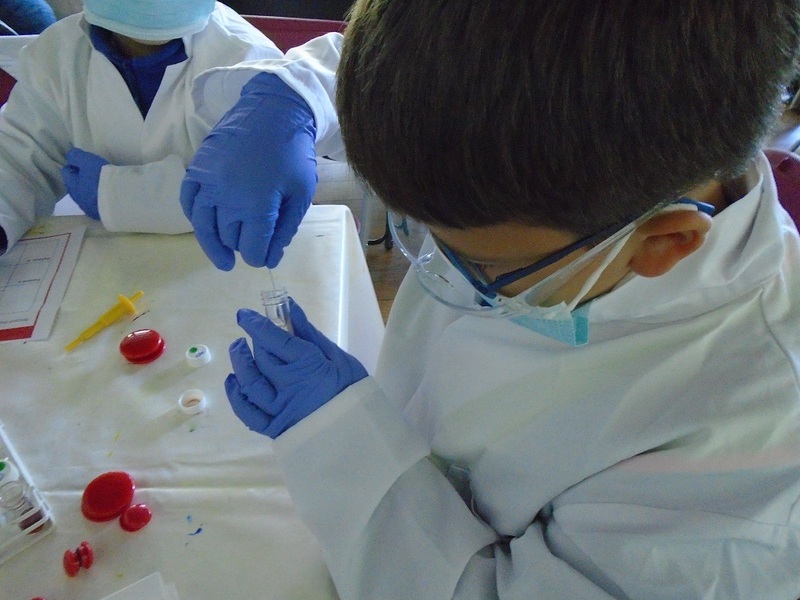 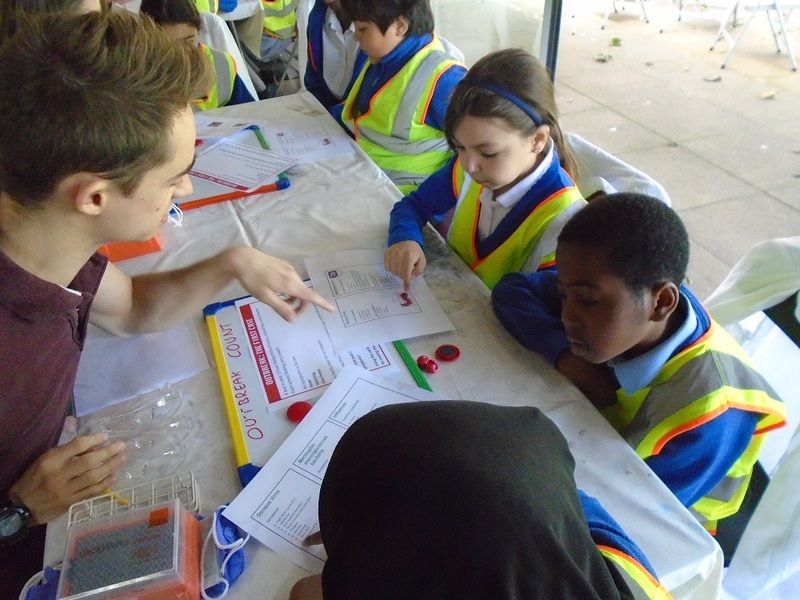 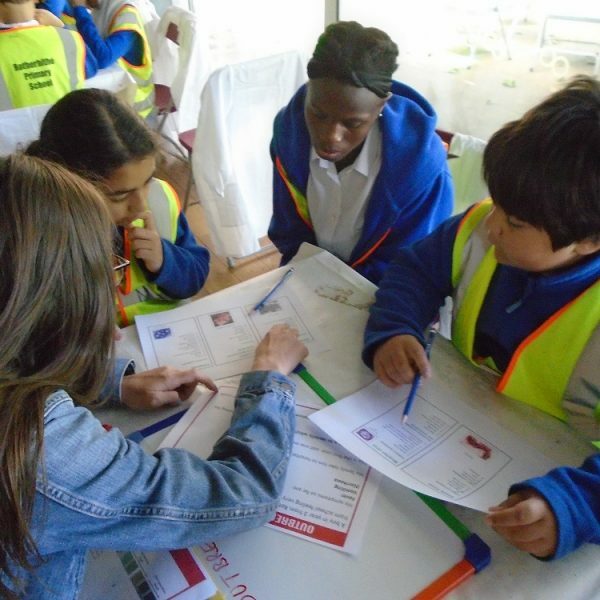 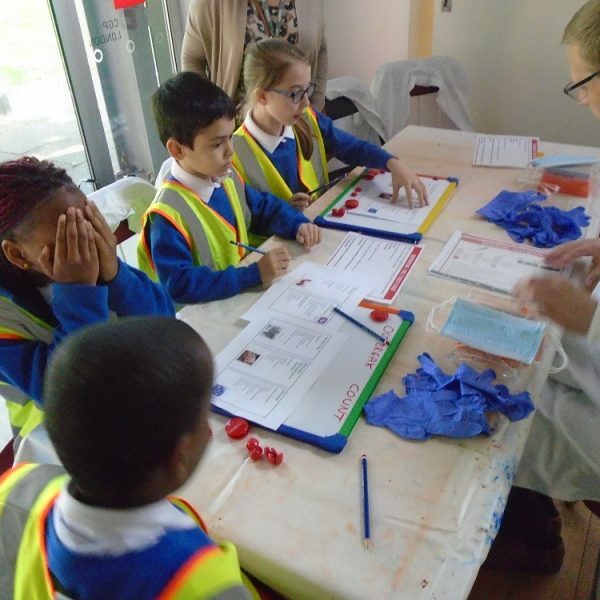 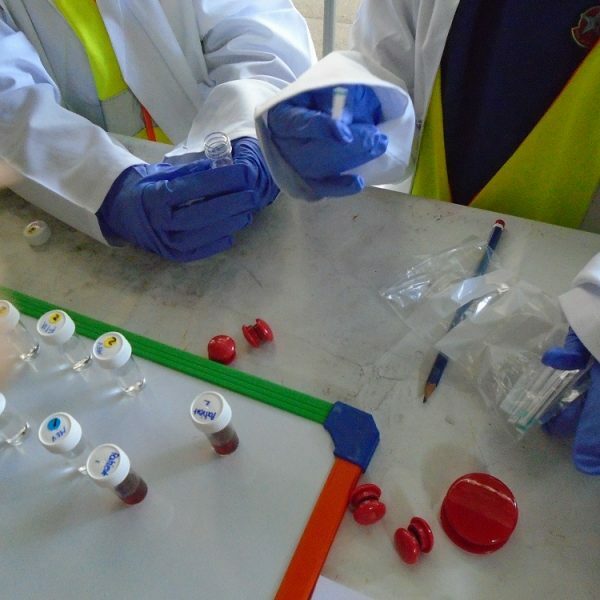 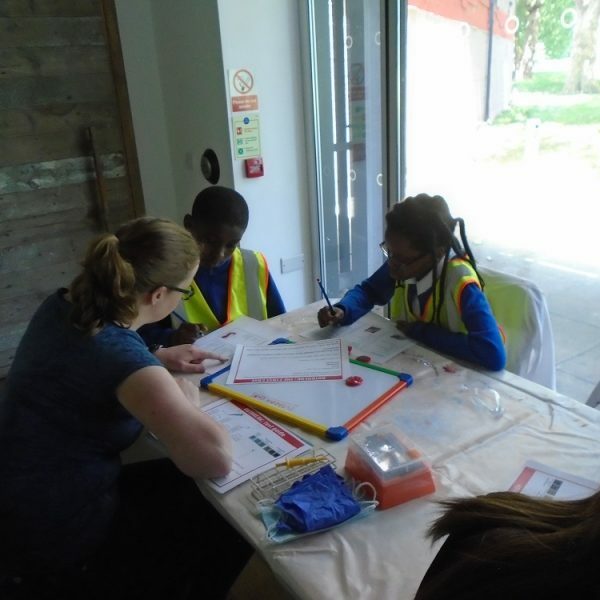 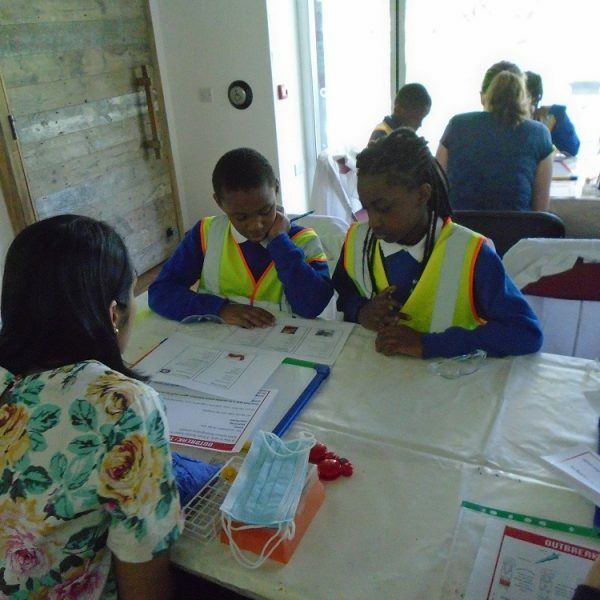 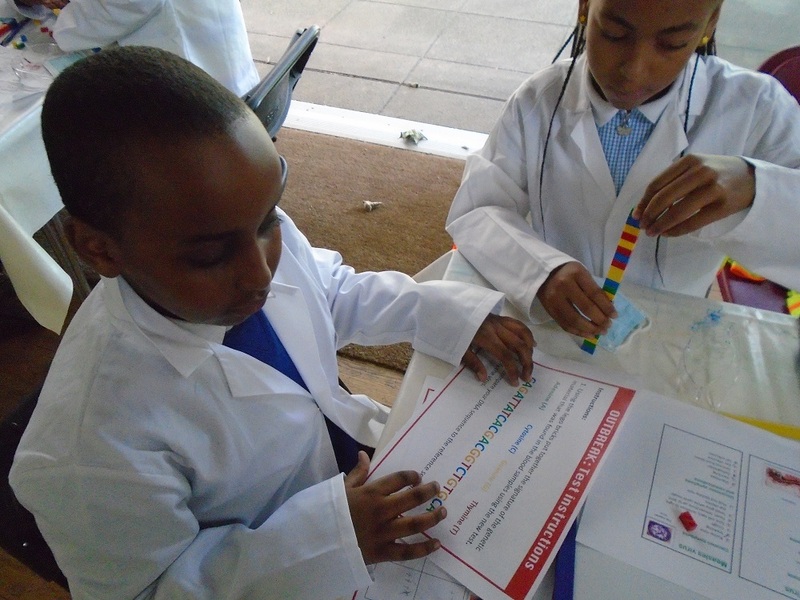 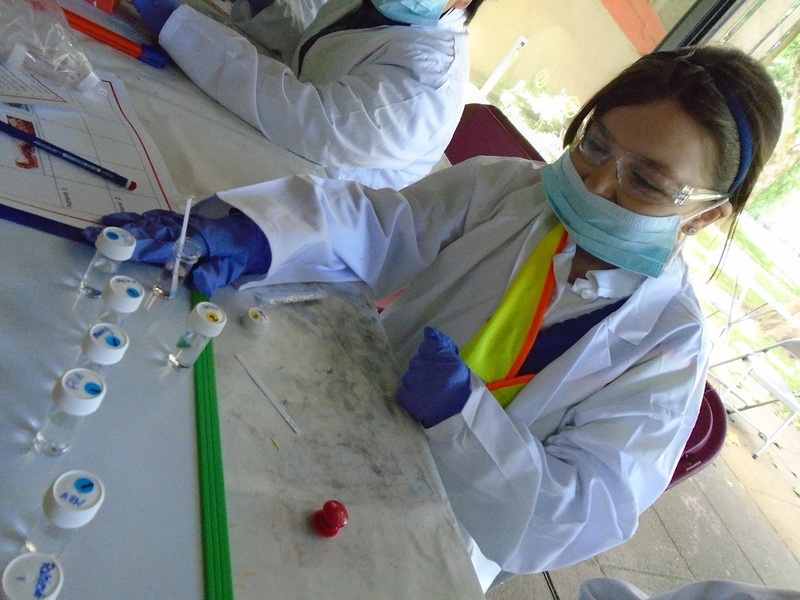 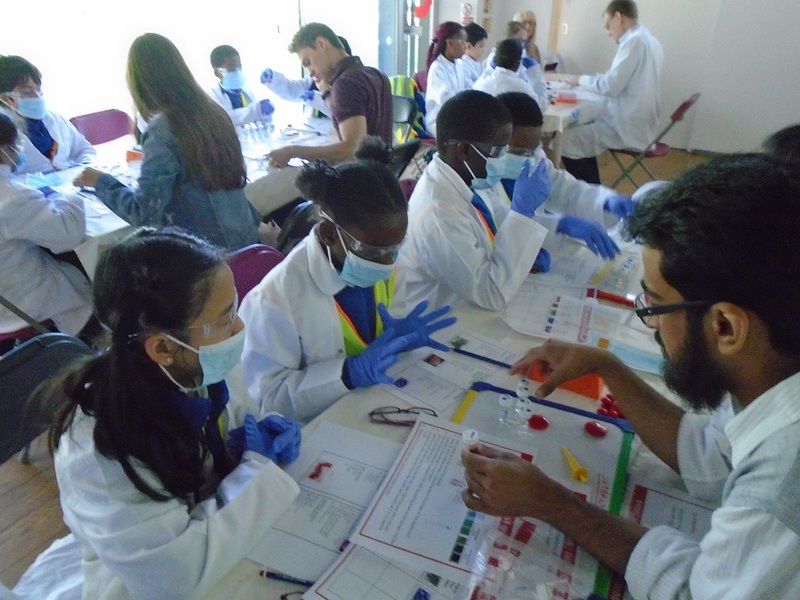 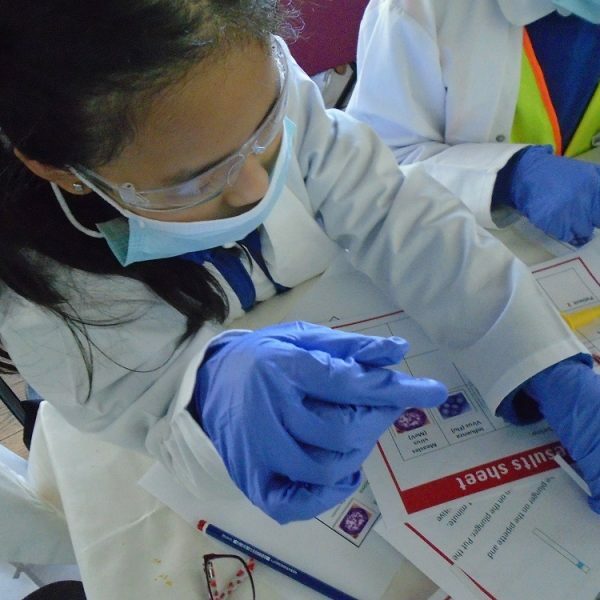 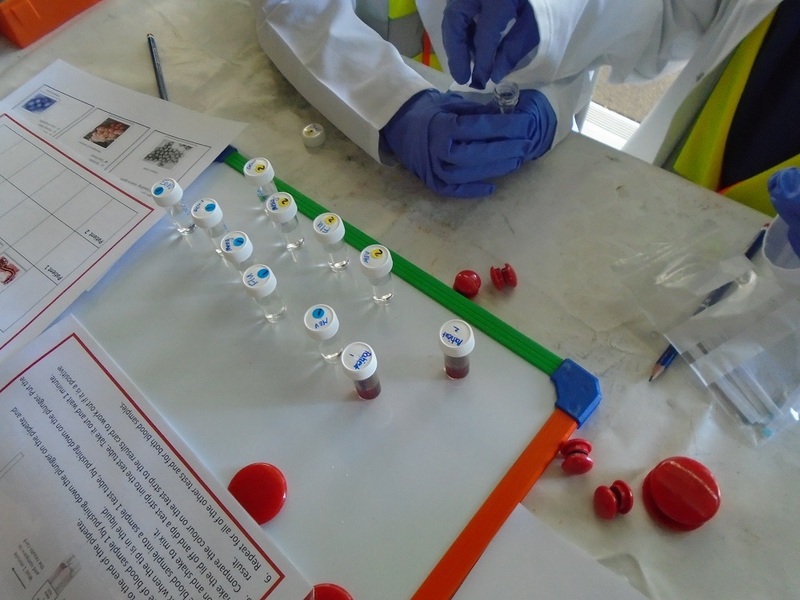 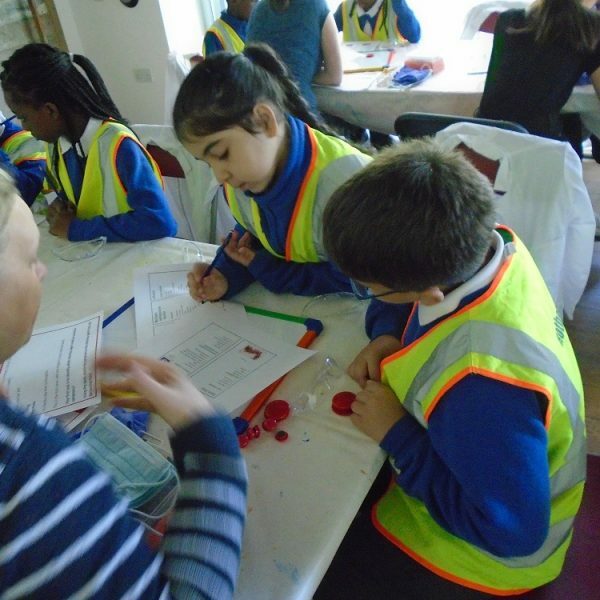 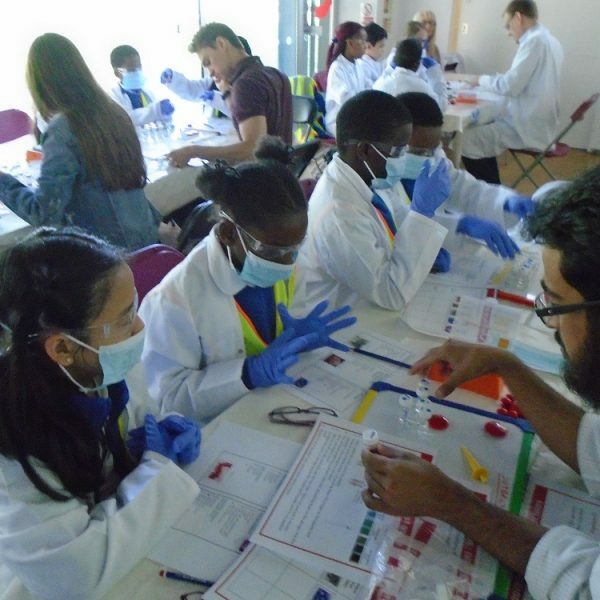 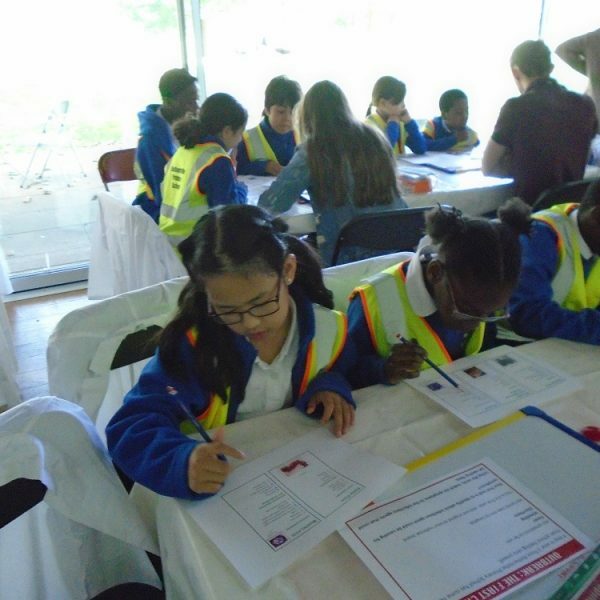 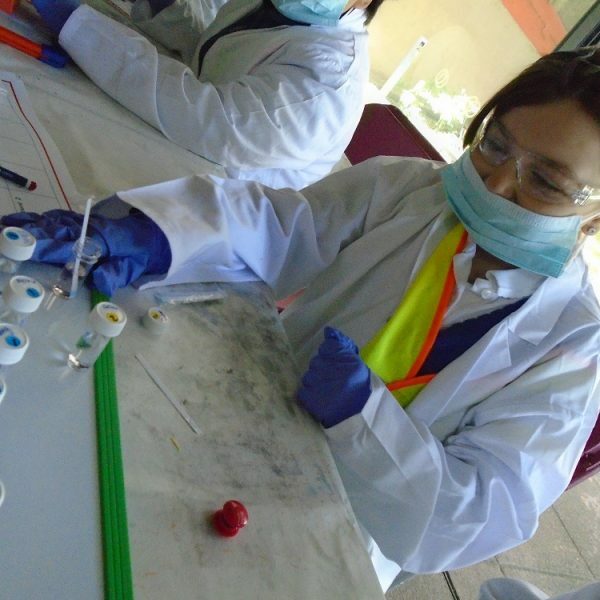 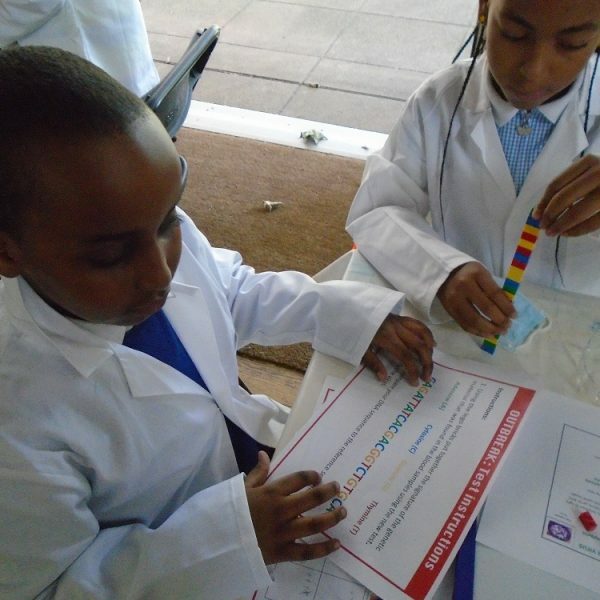 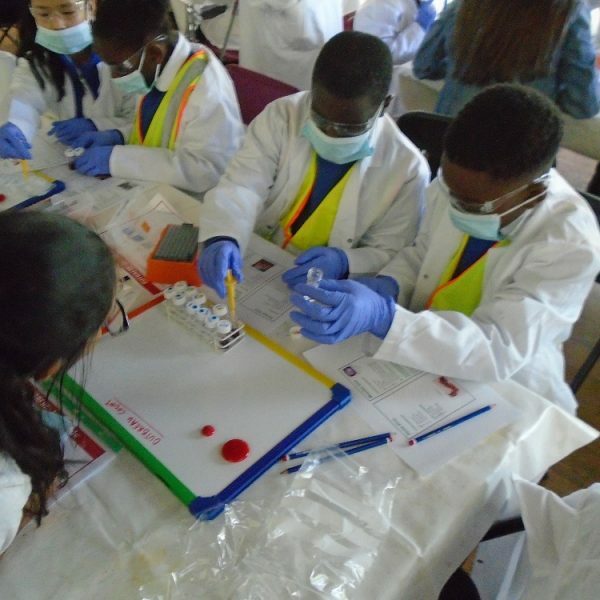 On Wednesday 6th June, year four children visited the Dilston Gallery at Southwark Park to take part in a series of workshops illustrating how viruses begin their life cycle and the many different ways that they are spread from host to host such. 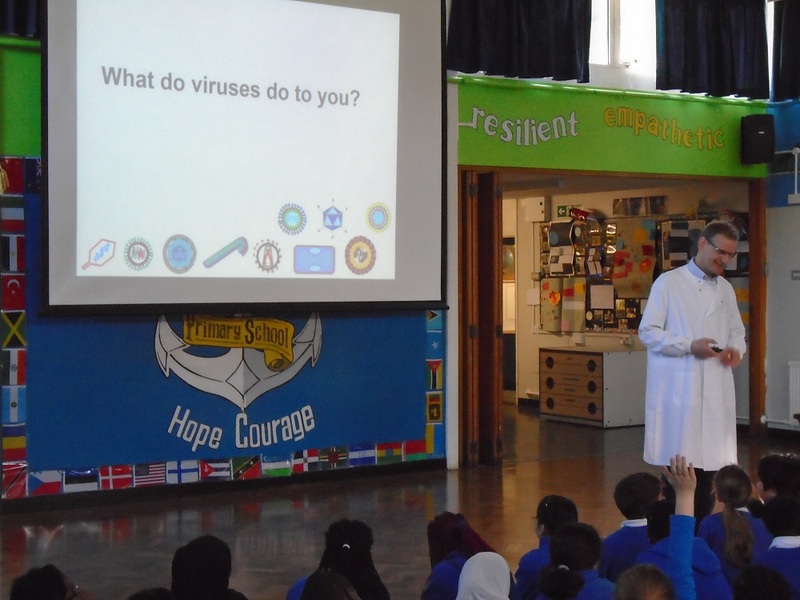 Predominantly, viruses are air born contagions and are spread by sneezing. 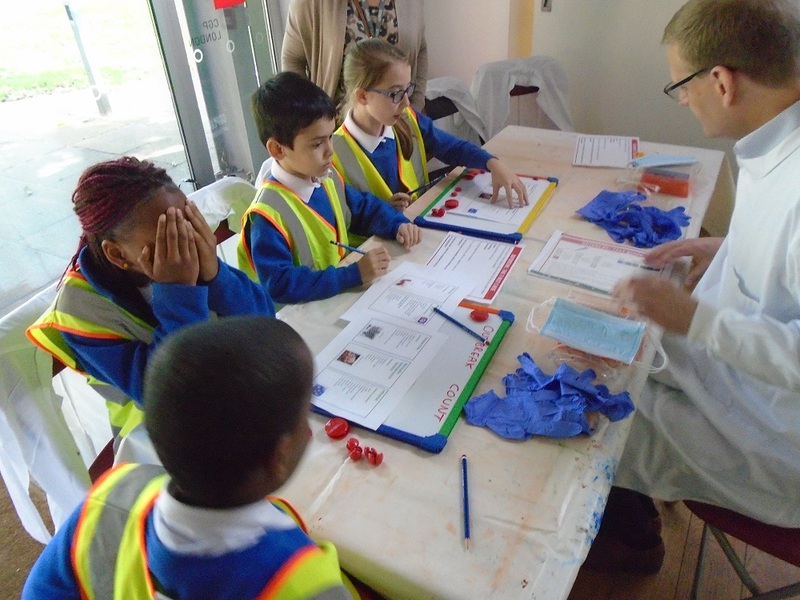 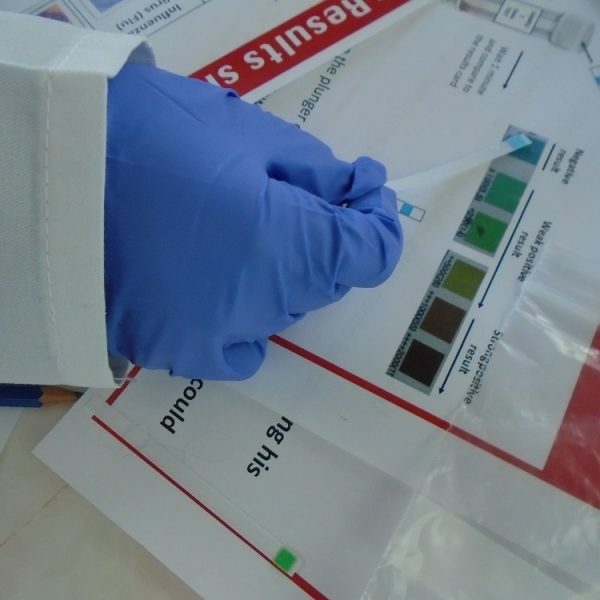 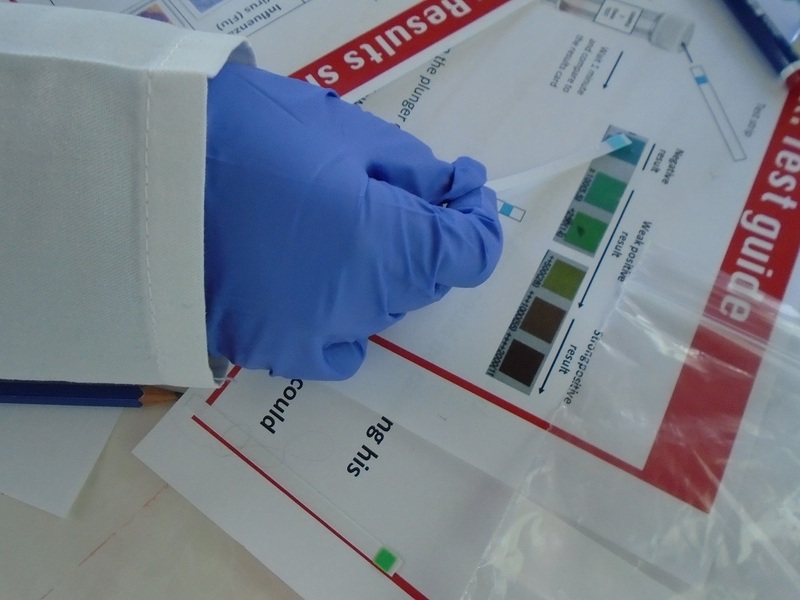 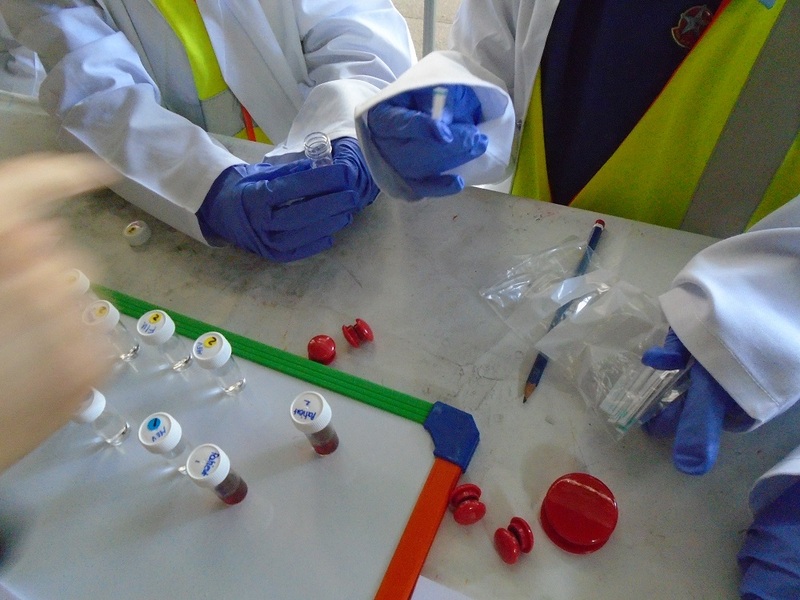 The children also looked at blood samples where they could examine how the virus affects the blood. 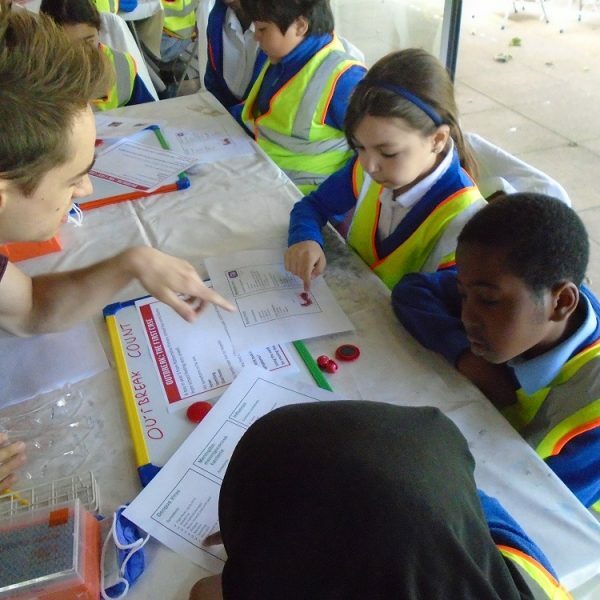 To demonstrate how a virus is spread through the air from one host to another, the children used glitter as a substitute to fluids generated through sneezing. 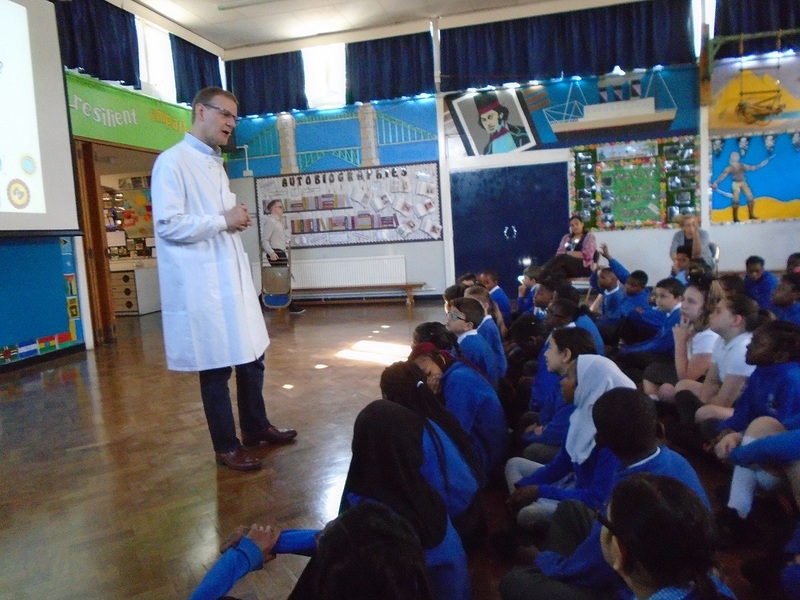 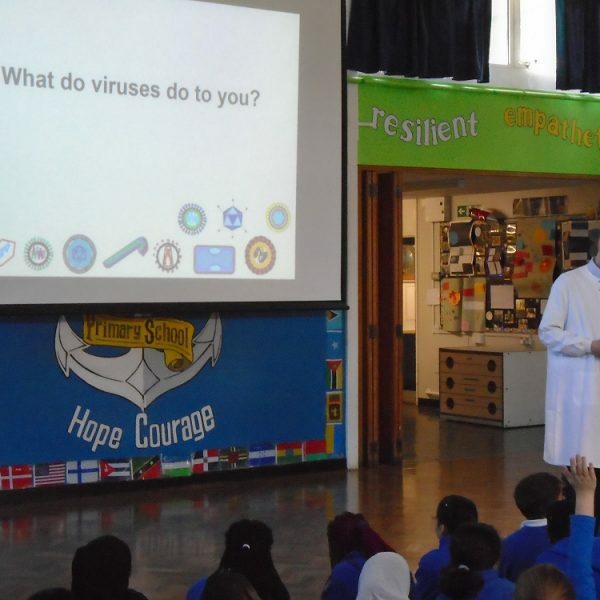 The children all looked amazing as they dressed as professional scientists with lab coats and other protective clothing such as safety goggles and masks in order to conduct their experiments. 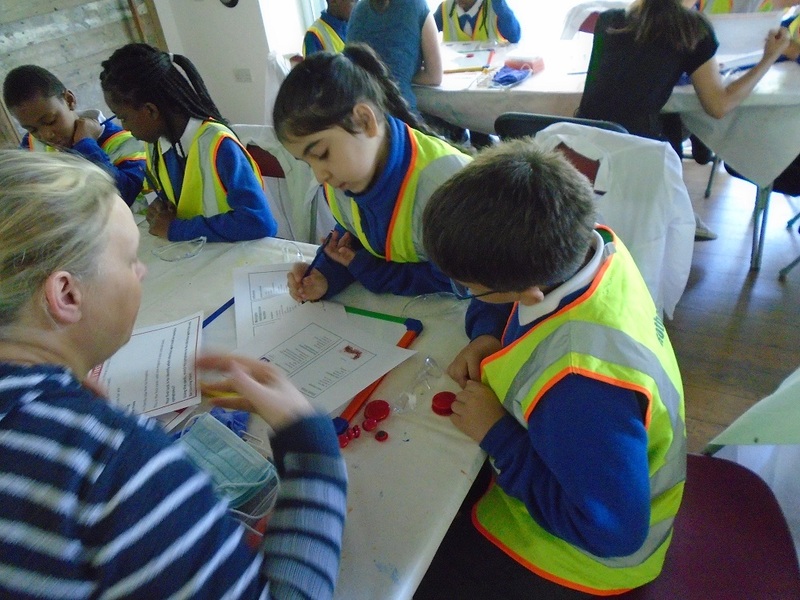 Year four had an amazing day and some of our children stated that this was the absolute best workshop that they had ever been involved in at Rotherhithe Primary School! 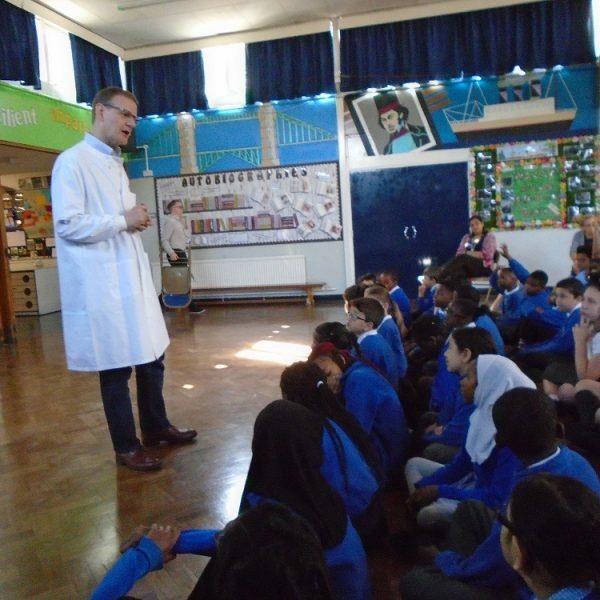 We clearly have a vast collection of science lovers at our amazing school. 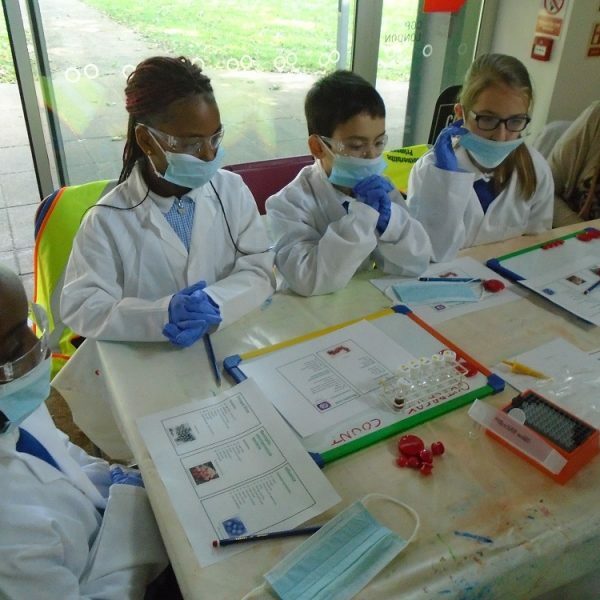 We took some pictures of our scientists in their lab coats and protective goggles and masks as they conducted their experiments. 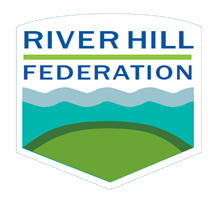 For a larger view, please click on the thumbnails below.